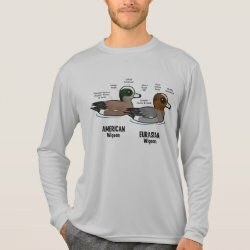 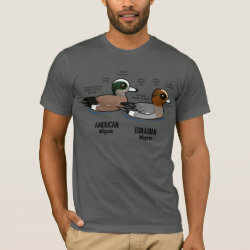 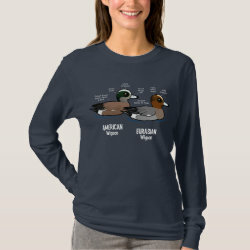 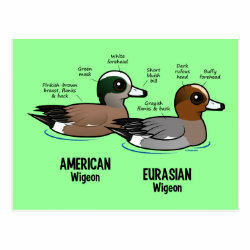 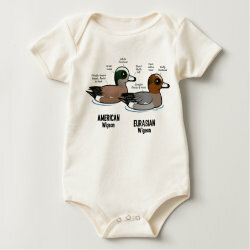 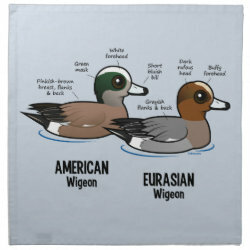 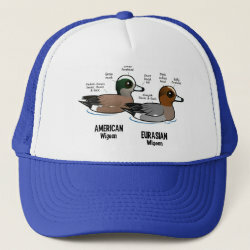 Have trouble keeping the differences between American and Eurasian Wigeons straight in your mind? 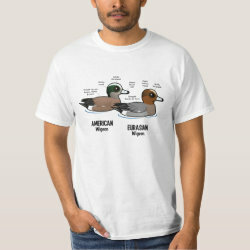 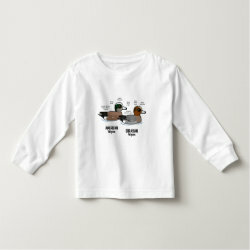 Then you're going to love this original design from Birdorable that clearly points out key field marks. 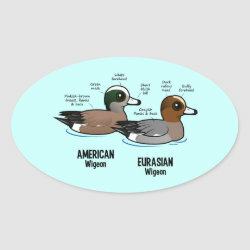 Cartoon bird images really break down more... the plumage differences between these two species of Wigeon that are sometimes found swimming together. 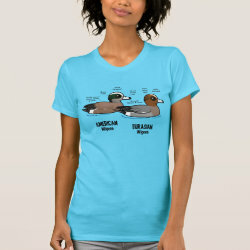 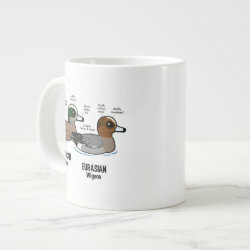 Learn your wigeons with Birdorable! 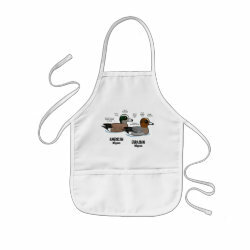 Wigeon vs Wigeon Cloth Napkins (set of 4) dinner 20" x 20"
Wigeon vs Wigeon Placemat 20" x 14"